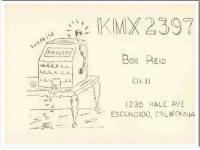 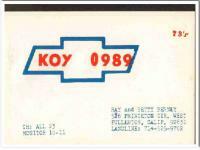 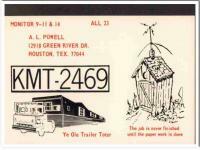 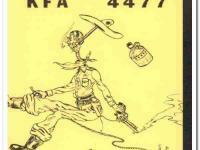 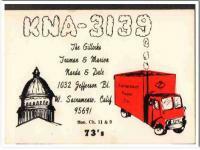 Original QSL postcard from the mid to late 1960s.This unused card was sent from CB radio station: KRA-4837. 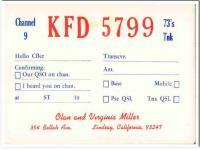 Was issued to Charles Dalzell, at 6144 North Haven Drive, North Highlands, California.Card is white with red text. 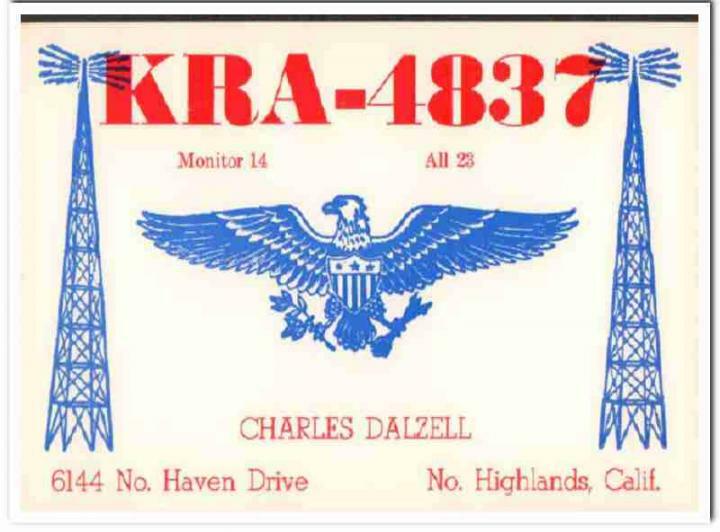 Has an image of a blue American Eagle and 2 radio towers. 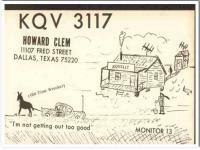 During the 1920s and 1930s, amateur ham radio operators adopted the practice of two-way exchanging of QSL postcards, to confirm their radio contact, with a report of reception. 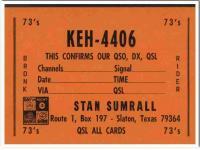 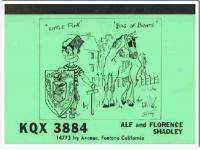 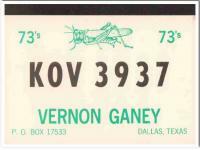 QSL cards got to be known as wallpaper, commonly used to decorate the walls of their radio equipment room. 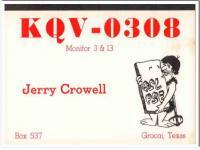 During the 1960s, CB citizen band radio became popular, and the practice of exchanging QSL cards to confirm radio contacts was enjoyed by many with this new hobby. 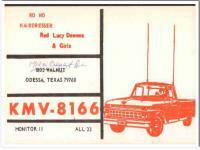 Today, these cards are very collectible and look great matted and framed.